Today we had our first excursion to learn about Norway's heritage and how a historic battle fortress had so much influence on its history. Today we had our first excursion to learn about Norway's heritage and how a historic battle fortress had so much influence on its history. We traveled to the historic fortress located on Oscarsborg island. This strategic location allowed the Norwegian forces to have a first line of defense to defend their capital city, Oslo. While on the island we were given time to explore both before and after the guided tour and climb around the fortress and see the beautiful views and impressive machinery. 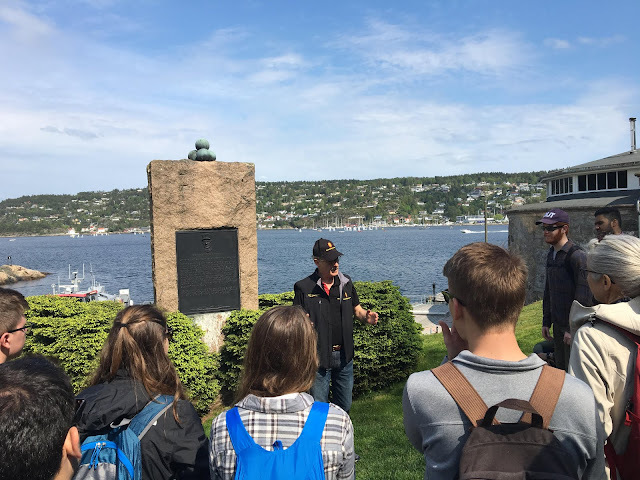 During the tour we learned about the history between Norway and Sweden as well as their military involvement in World War II. We ended the trip with a nice boat ride back through the Oslo fjord.